Hear the story of how two young guys, Derrick Peters and Jon Ducrou, work with Seattle Movember to create awareness about men's health and turn awareness into action by pitching facial hair as a fun, community building way to talk about something serious. Listen to the interview with Derrick Peters and Jon Ducrou. Check out our blog post about the interview. 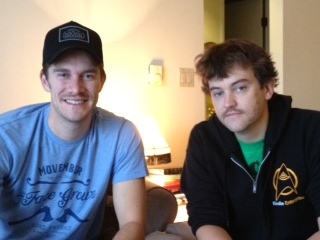 Visit the Movember Seattle webpage. Visit Movember Seattle on Facebook. Follow them on Twitter at @MovemberSEA.